Howard Yegendorf & Associates is pleased to offer a mutually beneficial Lawyer Referral Program to individual lawyers and small to medium-sized law firms located in Ottawa, Eastern Ontario and Northern Ontario. Our team of personal injury lawyers brings decades of experience in car accidents, motorcycle accidents, truck accidents and other cases of catastrophic injury. We have successfully represented clients of other lawyers and law firms in brain injury claims, spinal cord injury claims, fatal accident claims, class-action suits, long-term disability insurance negotiations and WSIB appeals. 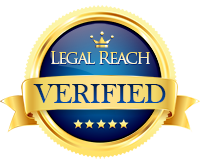 Our Lawyer Referral Program provides a capable and comprehensive personal injury law service on an “œas-needed” basis. It ensures that your client receives the representation they need, and it allows the referring lawyer to maintain ongoing involvement. The benefits to your law firm are that the clients can be seen at your office, and there is a fee-sharing arrangement between your legal practise and the law firm of Howard Yegendorf Associates. Howard Yegendorf & Associates offers a no-obligation consultation to clients of other law firms and takes the time necessary to understand the prospective client’s problem and outline what we can do to help.